What do you eat when you're broke, short on time or just craving a big ol' bowl of carbs? Pasta, of course. 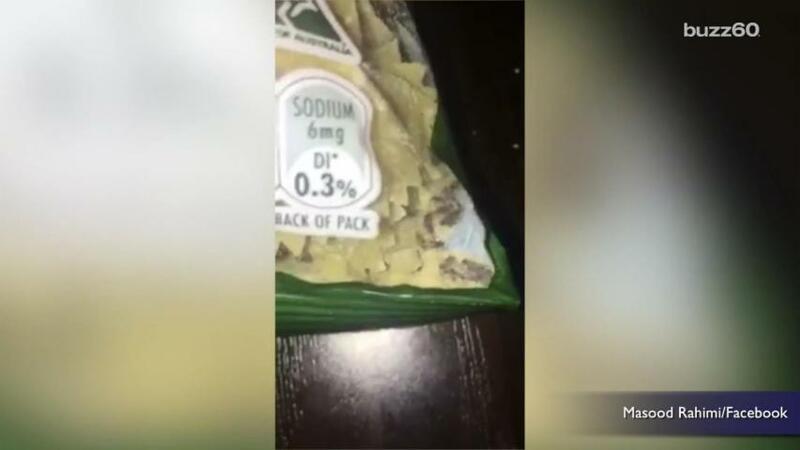 But the next time you rip open a package of those beloved noodles, you may want to take a closer look -- as evidenced by one man's terrifying experience. Posted to his Facebook page, Masood Rahimi shows off a seemingly normal, unopened package of Coles bowtie pasta which he recently purchased. After flashing the expiration date to prove that it was still good, he pans to the bottom of the bag, revealing TONS of tiny bugs crawling amongst the noodles. His friends are heard in the background, gagging and reacting with disbelief. In a statement to Yahoo7, Rahimi claims that he has since reached out to Coles via their Facebook page, where a representative advised him to leave his name and number in a direct message. He hasn't heard back from them, however, and claims, "They want to show the public they were nice, relatively they didn't do any action."